Jane Neave Keithley was born on 12 April 1908 in Kansas City, Jackson County, Missouri, at 322 Norton Avenue. She was known as Jane Keith as a movie actress. Herbert R. Keithley and Harriet Mabel Tinker appeared in the US federal census of 15 April 1910 in Kansas City, Jackson County, Missouri, at 322 Norton Avenue. Other members of the household included Jane Neave Keithley, Herbert Rudolph Keithley, Mary Madeline Keithley, Frank Tinker Keithley and Edward Tinker Keithley. Herbert R. Keithley and Harriet Mabel Tinker appeared in the US federal census of 1 January 1920 in Michigan City, LaPorte County, Indiana, at 216 Earl Road. Other members of the household included Jane Neave Keithley, Mary Madeline Keithley and Edward Tinker Keithley. Herbert is also enumerated as a lodger in Detroit. Jane Neave Keithley appeared in the US federal census of 1 April 1930 in Los Angeles, Los Angeles County, California, at the Aloha Apartment Hotel. The following appeared on 16 September 1930 in The Dallas Morning News: A year as a private secretary to a broker, today a screen actress with the promise of a career second to none. That's the rise of Jane Keith, flaxen-haired Kansas City girl, who is featured with Milton Sills and Raymond Hackett in "The Sea Wolf," Fox Movietone talking picture based on Jack London's story. Leaving the University of Chicago to enter the business world, she became the secretary to a Michigan City broker. A Hollywood visit last year brought Miss Keith an introduction into film circles and small parts in "The Florodora Girl" and "Whoopee" resulted. 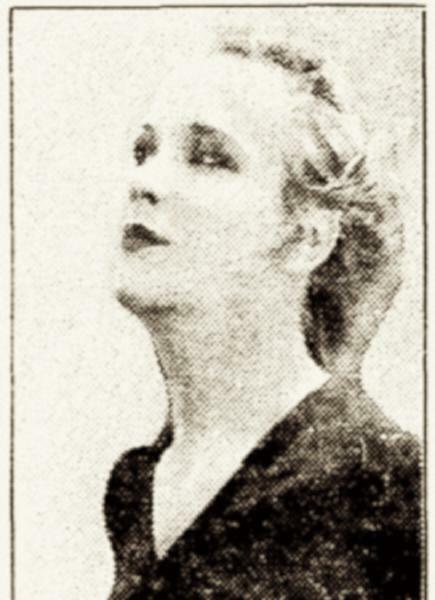 The following appeared on 11 October 1930 in The Boston Herald: Jane Keith, now appearing opposite Milton Sills in "The Sea Wolf," at the Fenway Theatre, used to be a stenographer in Michigan City, Indiana, until she took a free ride to California with her grandmother on a chance of getting into picturees. She had no luck at the studios, even when an agent took an interest in her and tried to get her work. Finally this same agent took Jane with him when he went to see Alfred Santell, director of "The Sea Wolf," about another player. Santell watched Jane with much interest and finally asked her to take a test. She broke down and cried, being very low on food and on funds, but she made the test and her grit as well as her looks and ability, got her the role. She married Alfred Allen Santell on 27 May 1934 in Yuma, Arizona. The following appeared on 29 May 1934 in the Cleveland Plain Dealer: Jane N. Keithley of Michigan City, Ind., yesterday eloped to Yuma, Ariz., where she was married to Alfred Santell, prominent film director. Alfred Allen Santell and Jane Neave Keithley appeared in the US federal census of 1 April 1940 in Beverly Hills, Los Angeles County, California, at 718 North Walden Avenue. Other members of the household included Allen Alfred Santell and Evan Allen Santell. Also in the household were nurses Margaret Hudson and Kathy Austell, a cook and a butler. The family was living in the same house in 1935. The following appeared on 5 March 1943 in the Richmond Times-Dispatch: Screen Director Alfred A. Santell disclosed that his wife, Mrs. Jane K. Santell, has dismissed the divorce suit she filed last October on cruelty grounds, and they are reconciled. Married in Yuma, Ariz., in 1934, they have four children. Jane Neave Keithley died on 13 September 1944 at age 36 in Los Angeles County, California. Her husband Alfred Allen Santell became a widower at her death. She was interred at Forest Lawn Cemetery, Glendale, Los Angeles County, California. The following appeared in a local newspaper: [Died] Jane Santell, beloved wife of Alfred Santell, mother of Barbara, Linda, Allan and Evan Santell. Services today at 12:30 p.m. in the Church of the Recessional. Forest Lawn Mortuary in charge. The following appeared on 15 September 1944 in the San Antonio Express: (Hollywood, Sept. 14) Mrs. Jane Neave Santell, 36, wife of Movie Director Al Santell, died Wedensday night after a lengthy illness. It is interesting to note that Jane Keith appeared in Whoopee!, released 7 September 1930, along with Jack Rutherford, who was cast as Sheriff Bob Wells.